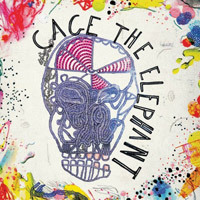 Cage The Elephant was recommended to me from three different people in the course of four days. The music isn't quite what I expected, but I have to admit that every single one of them was right when they said "You'll like it". Although the band hails from Kentucky, they play happy, British-inspired, vigorous indie-rock, laced with slide guitars and backed by beats and guitar riffs that incite dancing. 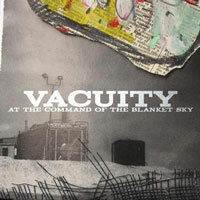 Uncomplex, catchy, with lot's of influences, but the real reason to listen to this album is just for good times. I can't say for sure, but I'm willing to bet my lunch that these guys put on a great concert. Favourite track: In One Ear. Other good listens: Ain't No Rest For The Wicked, Lotus, Brick Against The Wall, and Tiny Little Robots. © 2008 HR Music Inc. I realize this is the time of year I'm supposed to be making Top 10 lists, but I refuse to do that until the year is over (simply because I include concerts, and my concert going schedule isn't done for the year). 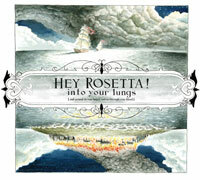 So I figured with all the last minute shopping going on, it was a good time to highlight the fact that Into Your Lungs by Hey Rosetta! would make a great present for anyone in your family, or even yourself. Produced by Hawksley Workman, this album contains brilliant guitar and piano-based rock laced with violin and cello used exactly right. This is definitely one of the best Canadian albums released this year. © 2008 Dine Alone Music Inc. 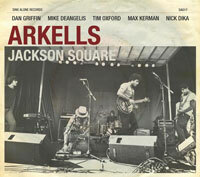 If you've been reading my blog recently, this Pete's Pick probably goes without saying, but I still felt like I should say it: The Arkells are a great live act, and this debut full-length album backs it up. The album is [presumably] named after the Jackson Square mall in their hometown of Hamilton, which acts as a bit of a cultural hub, and has a connection to Copps Coliseum (often used as a concert venue). The tracks on the CD include re-recorded versions all five songs from their Deadlines EP, as well as seven more new tracks to fill it out. 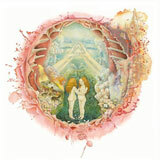 The newer and older material blend perfectly into an album that should be listened to in its entirety. My current favourites are The Choir and John Lennon, along side of all my other favourites Tragic Flaw, Oh The Boss Is Coming!, No Champagne Socialist, and Ballad Of Hugo Chavez. And Abigail. And Blueprint. You get the idea. This article contains free downloads. As much as I liked Islands' debut album, Return To The Sea (which was a lot... it took my #1 spot in 2006), I think it's fair to say that I like their sophomore album even more, overall. Even though the hooks aren't quite as strong as in their earlier work, such as Rough Gem, its unique instrumentation and melodies make for a twelve song string of catchiness, all the way from The Arm to the eleven-minute closer Vertigo (If It's a Crime). © 2008 Virgin Records Ltd. 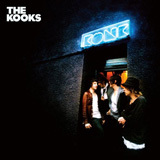 I featured The Kooks as Pete's Pick in January 2007 for their debut album Inside In/Inside Out, and it should suffice to say that their recent release, Konk, is even better. Their debut album had a few songs that brought me back for more, but this album is pretty much the whole thing, including the highlights: Mr. Maker, Do You Wanna, Love It All, Sway, Shine On, and Down To Market. They are playing the Koolhaus in Toronto tonight (June 4th) in what looks to be a sold-out show. 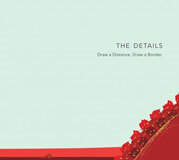 The Details / Draw a Distance. Draw a Border.